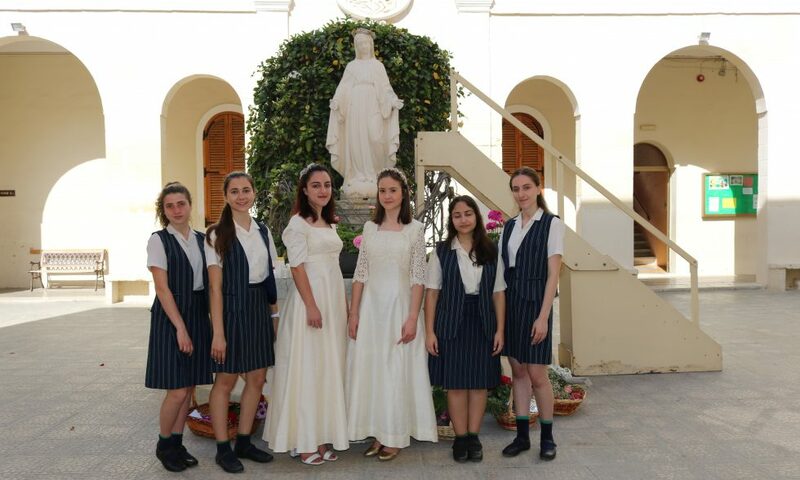 The crowning of Our Lady was held on Thursday 31st May 2018 to enable our Senior V students to be part of this yearly tradition, now that their SEC exams are over. 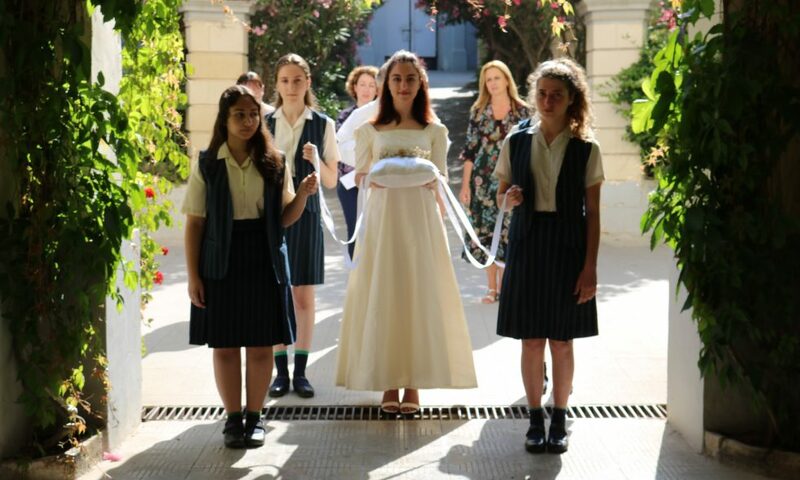 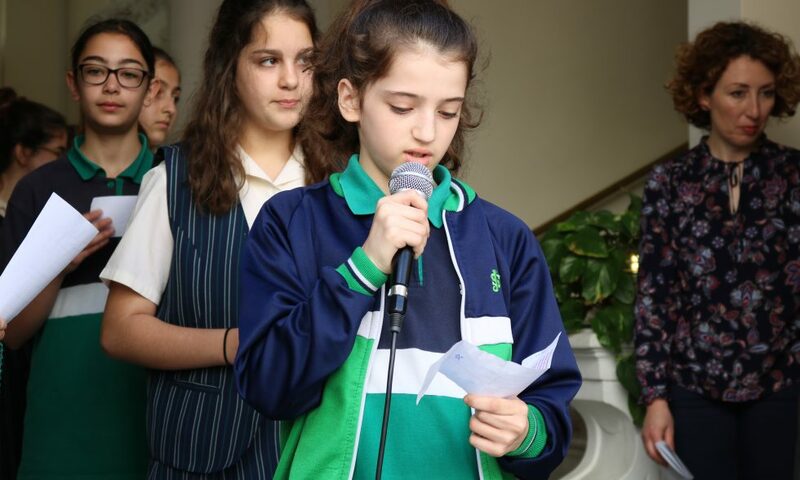 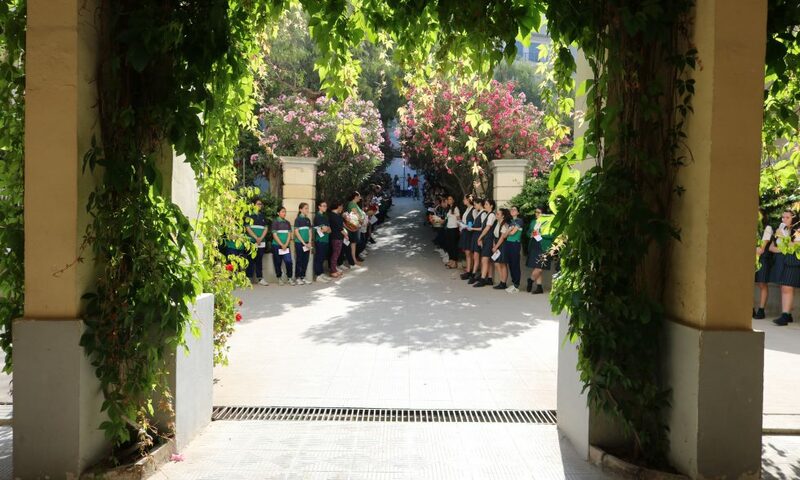 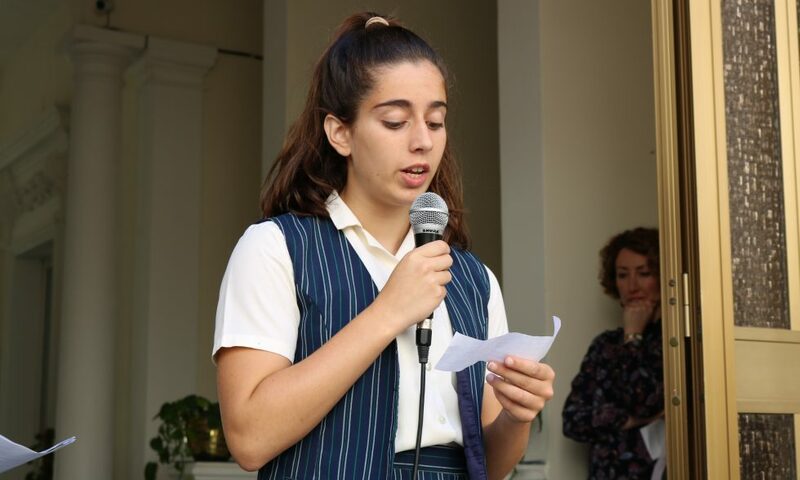 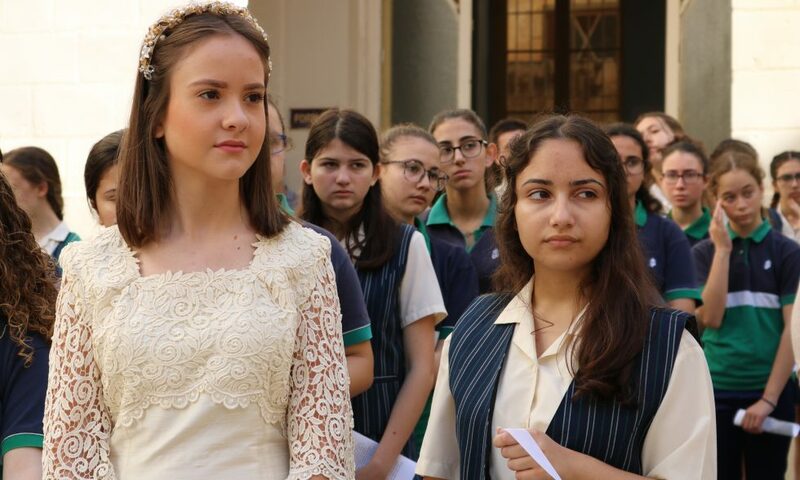 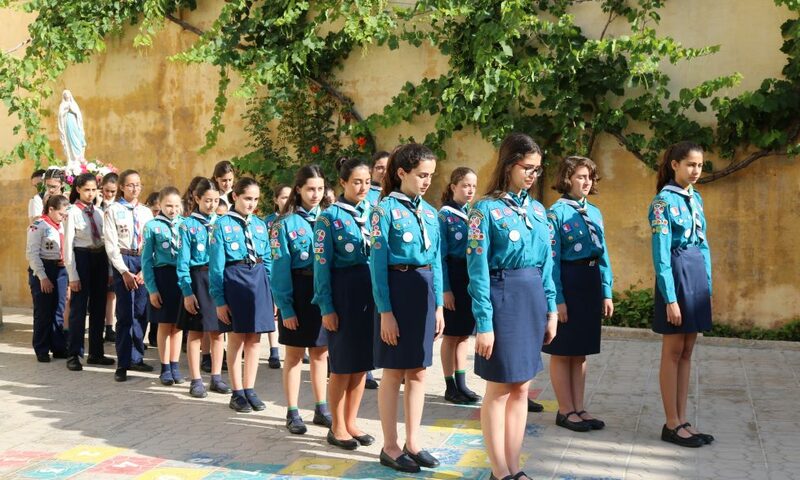 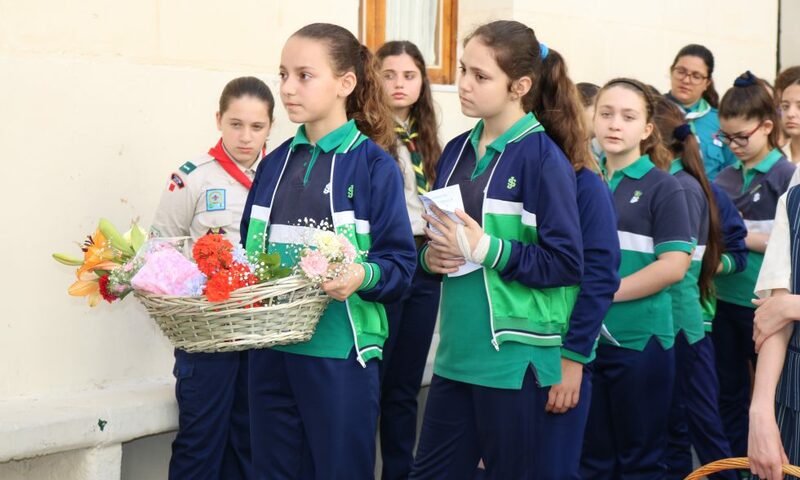 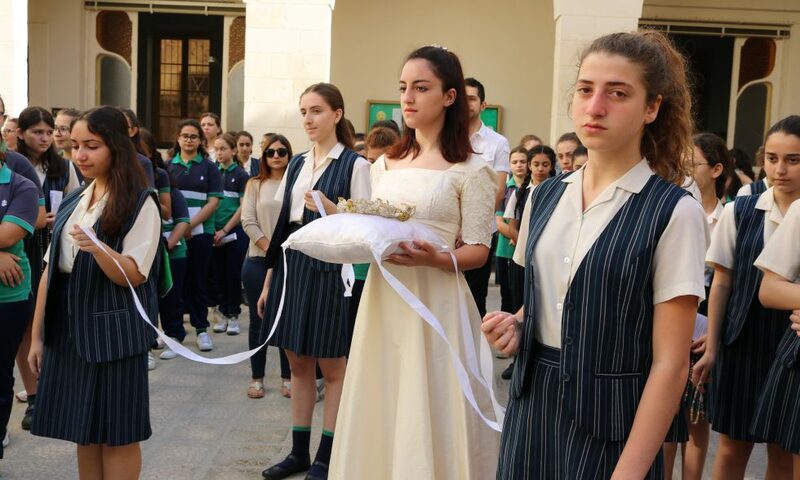 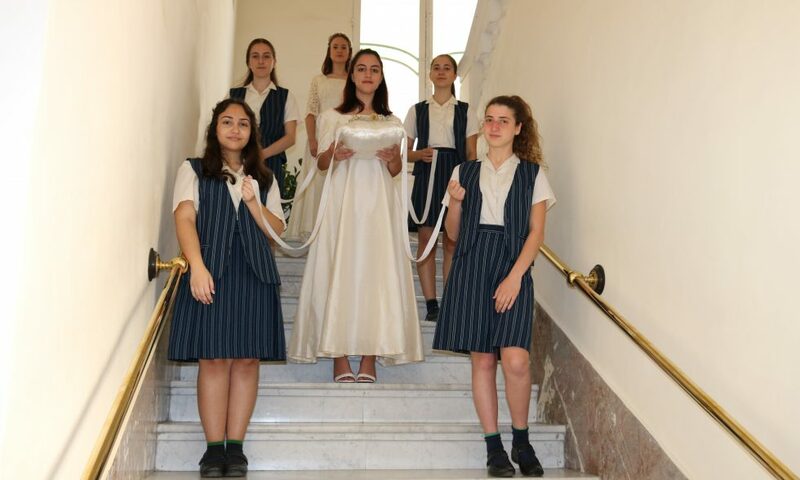 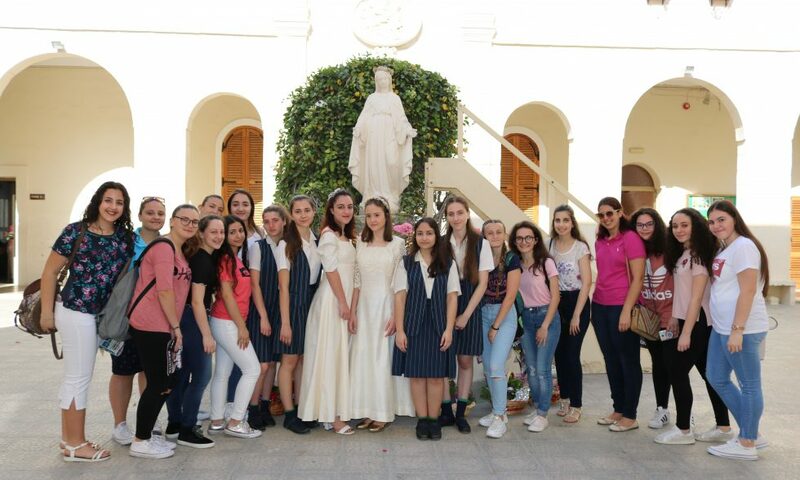 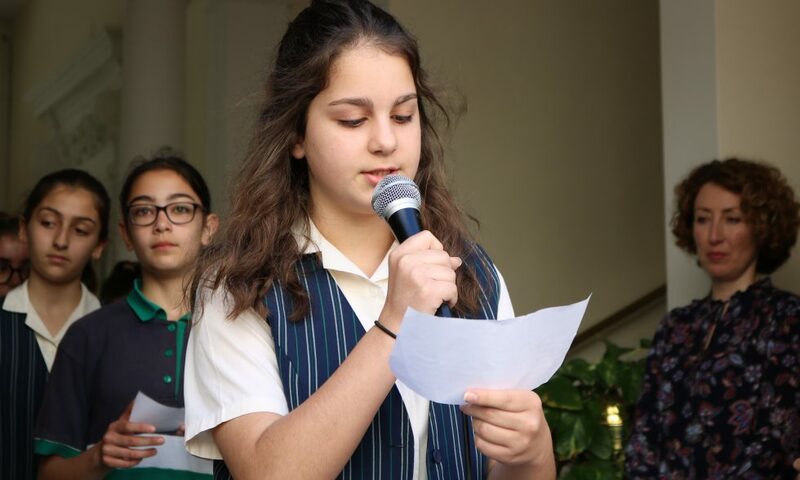 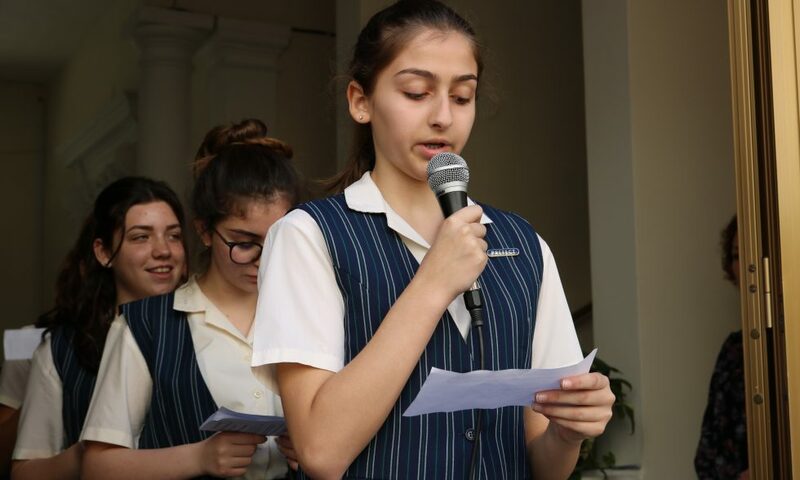 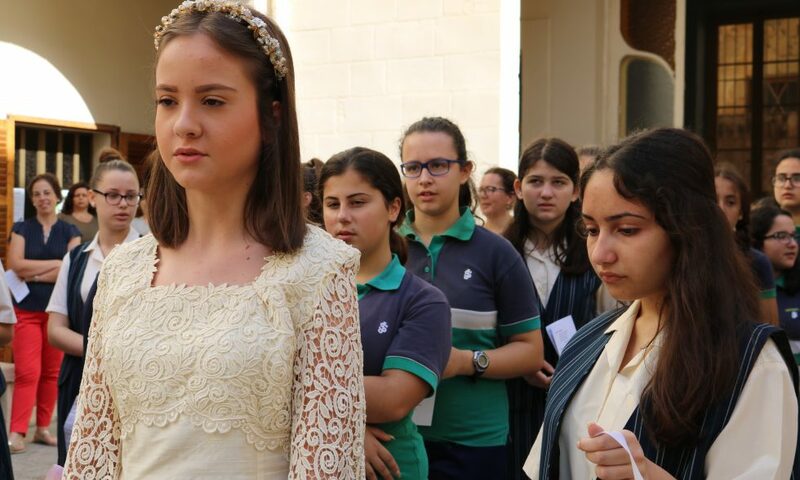 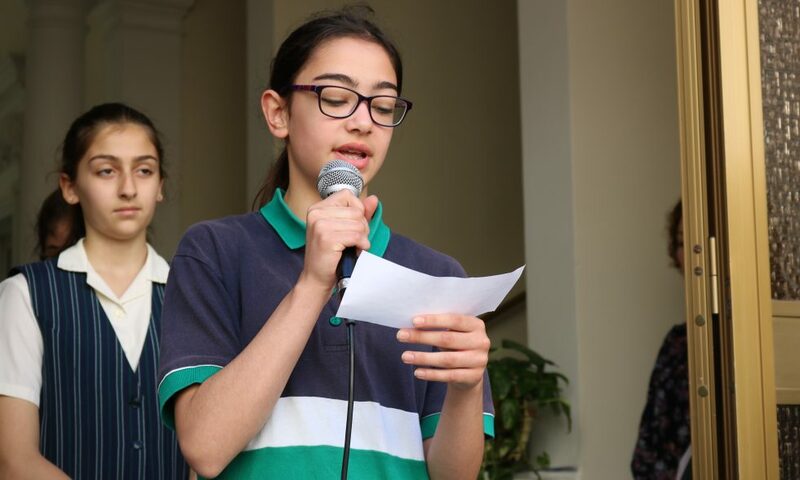 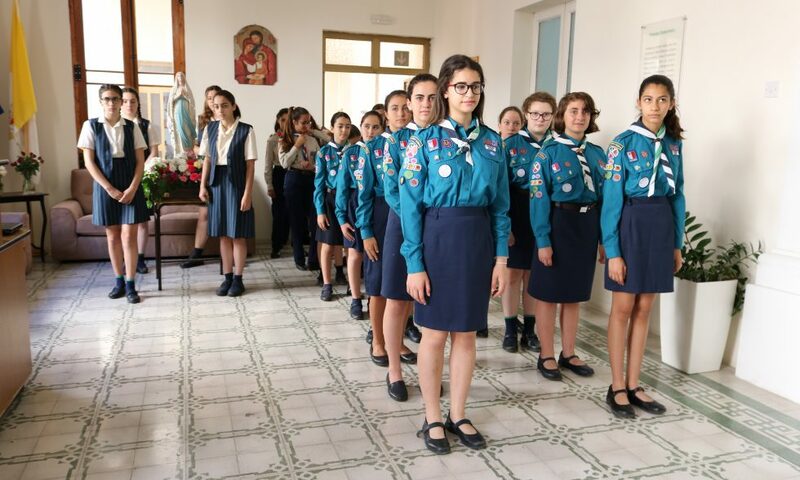 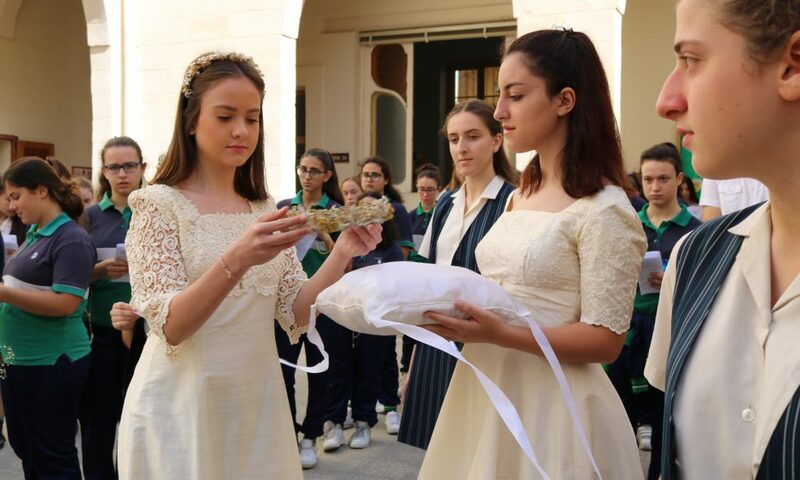 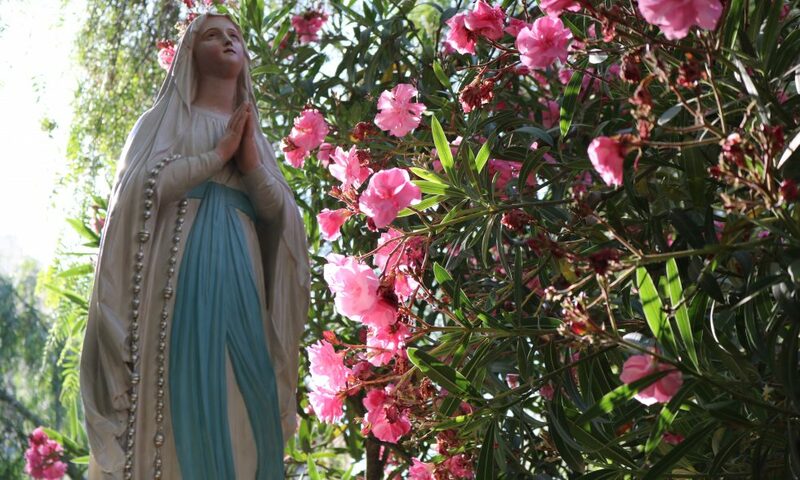 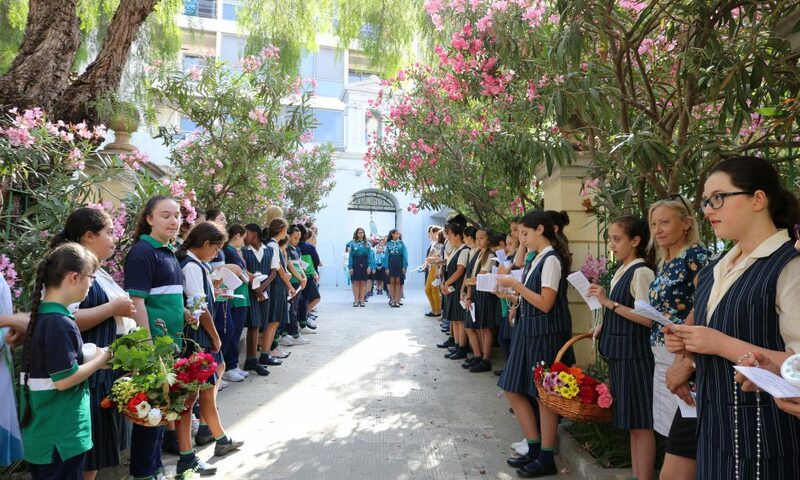 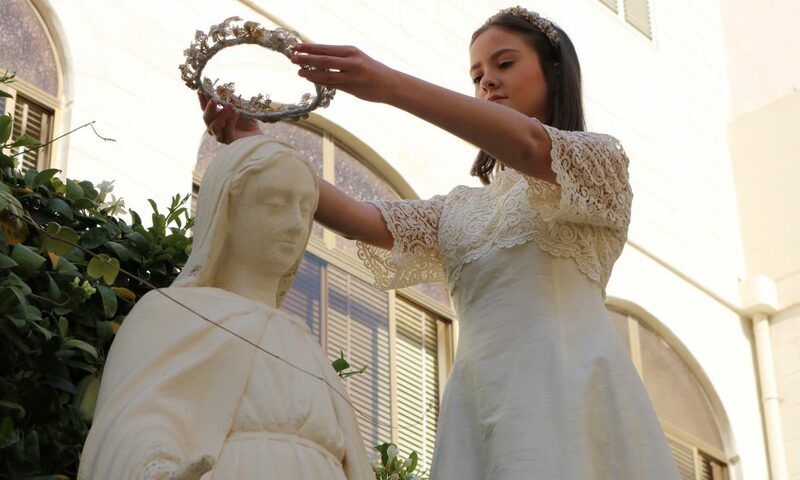 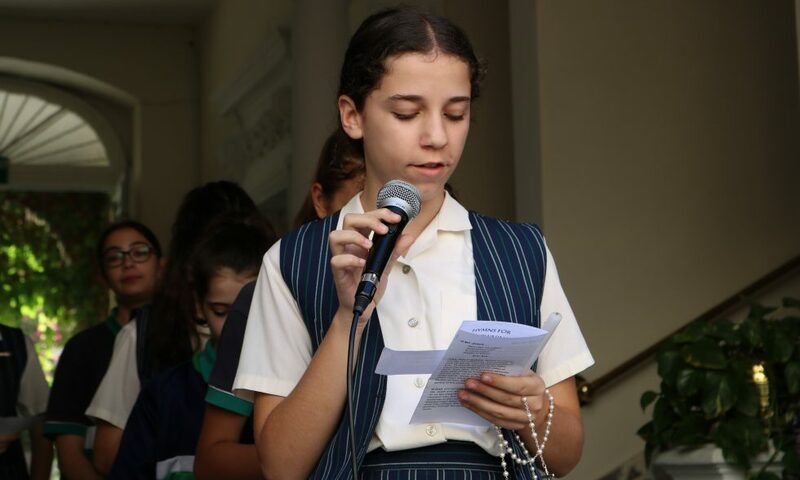 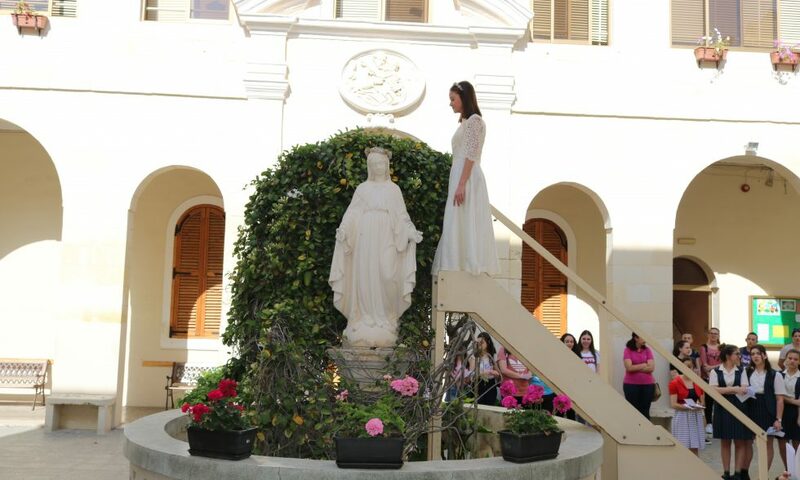 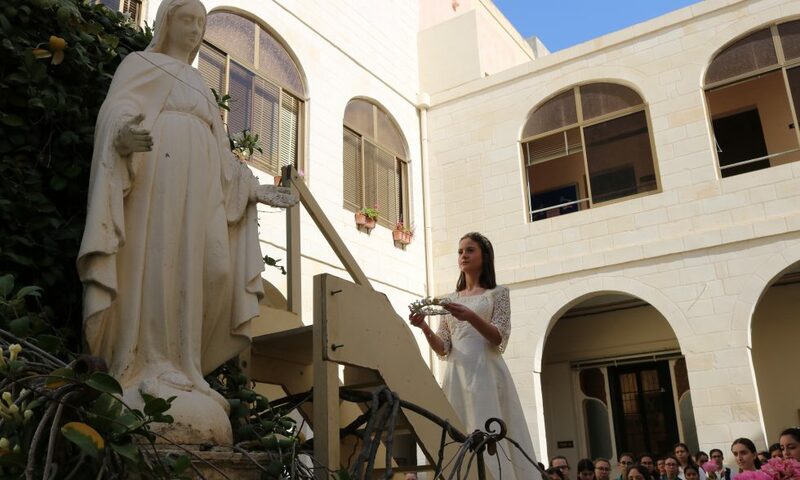 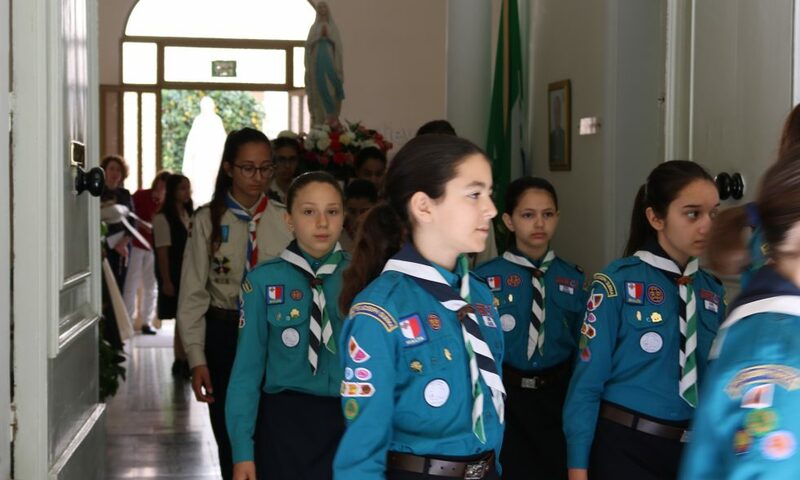 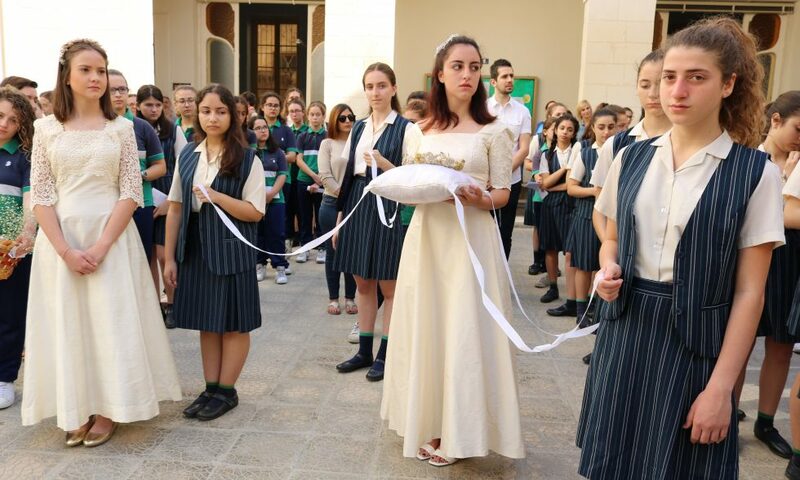 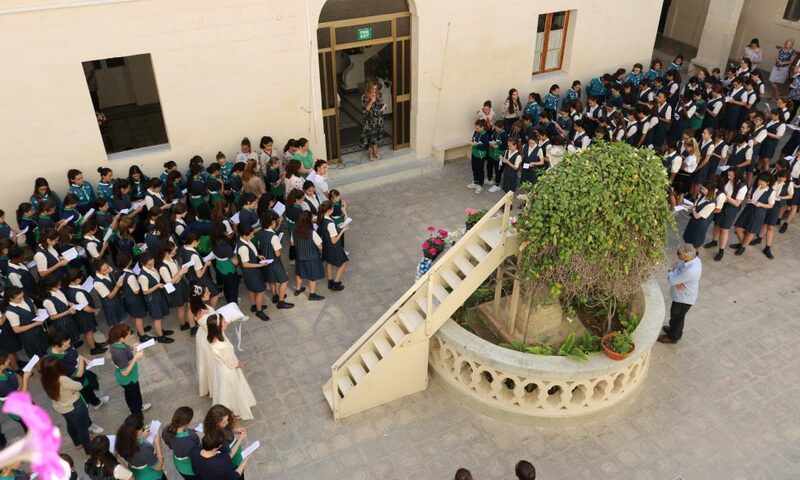 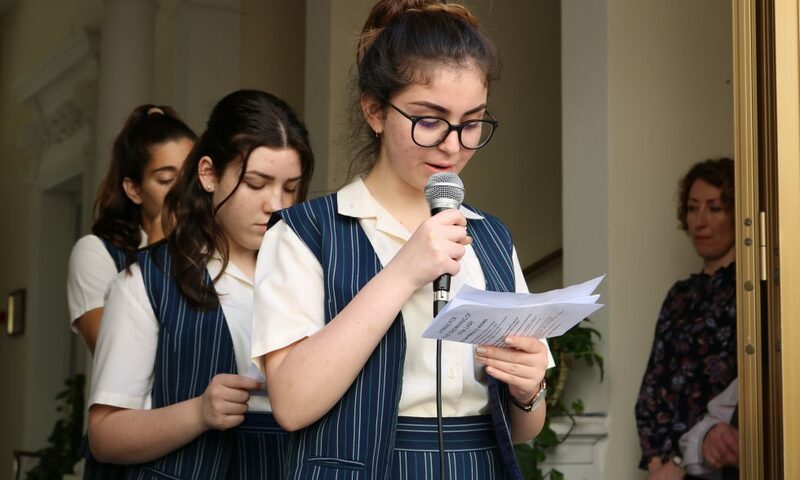 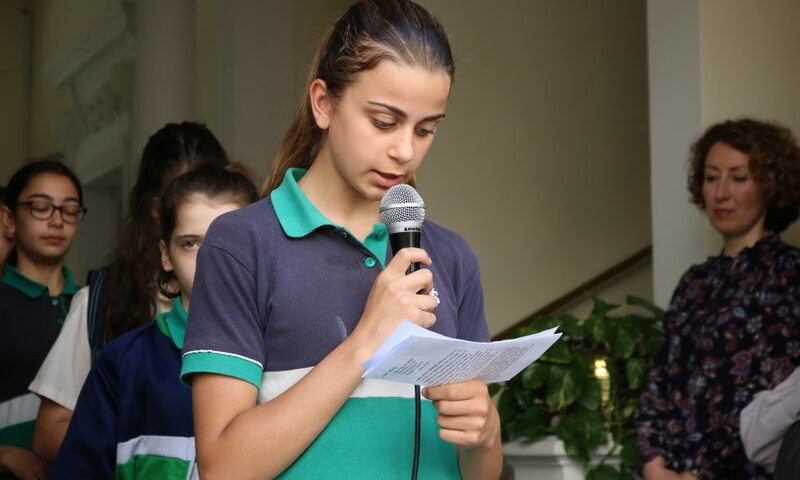 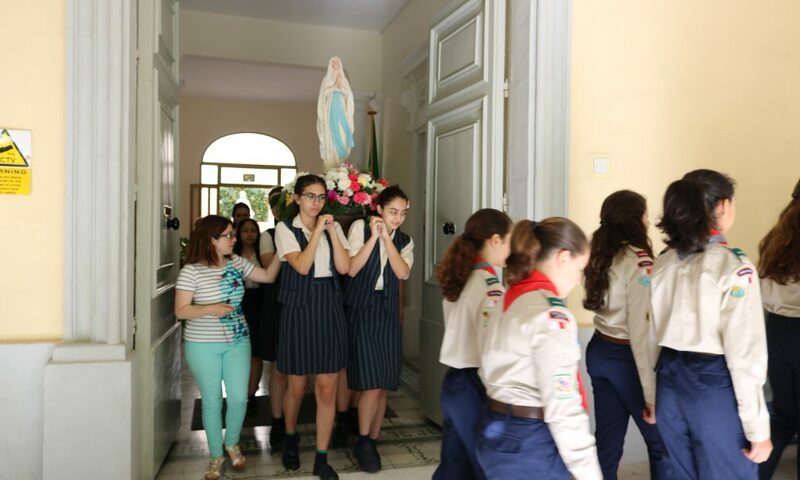 All the senior school community prayed the rosary and sung hymns in a procession around the school that was led by a guard of honour, following which Fiorella Mifsud crowned Our Lady in the school yard. 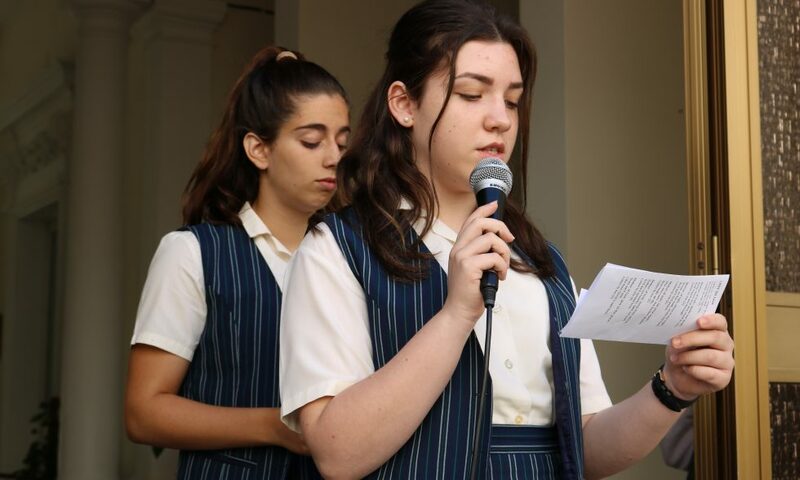 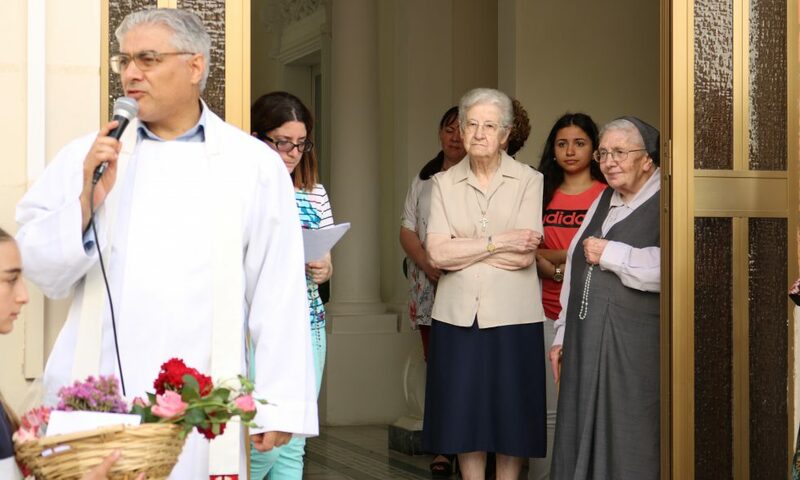 Fr Mario Mule Stagno shared reflections, while prayers and intercessions were offered by students representing their class. 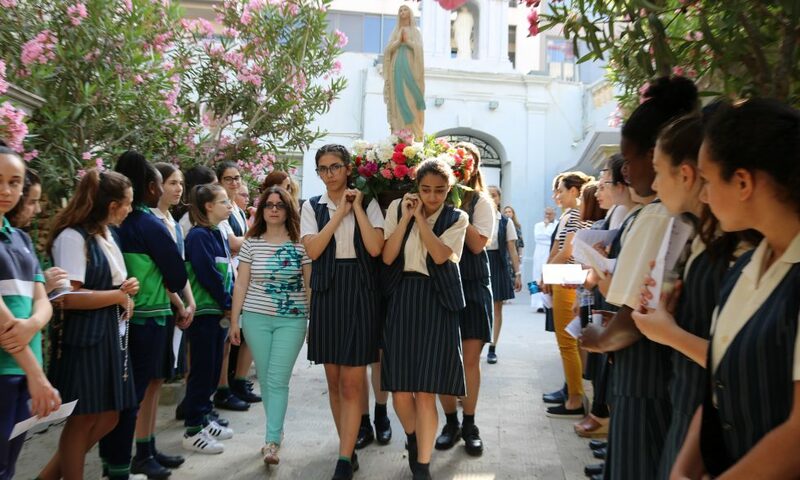 Flowers, candles and donations to charity were presented to Our Lady at the end of the ceremony. 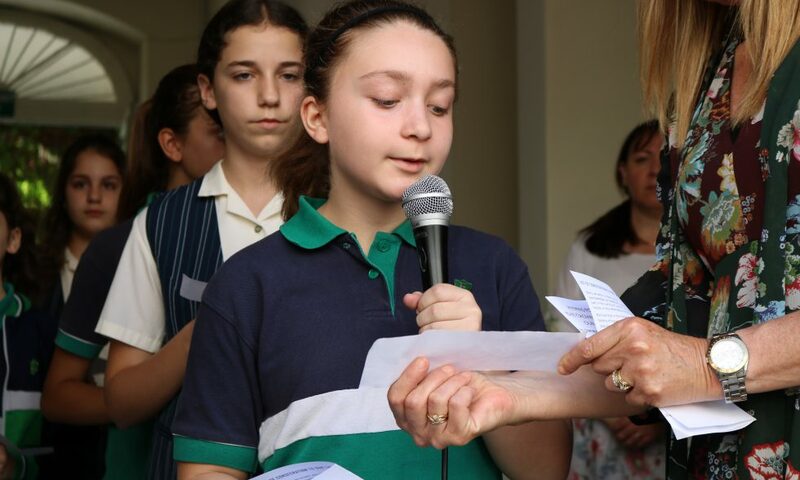 Thank you to the teacher team, coordinated by Ms Abigail Pace, for the organisation.